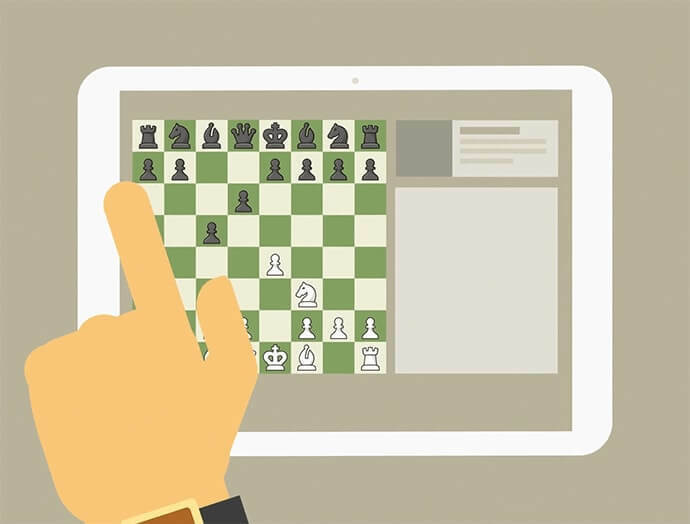 1ST OF ALL, LEARN THE RULES OF CHESS | Free chess downloads and training sites. Study material and suggestions. Online shopping. While most people play standard chess rules, some people like to play chess with changes to the rules. These are called “chess variants”. Each variant has its own rules. To learn more about chess variants, click here. Touch-move – If a player touches one of their own pieces they must move that piece as long as it is a legal move. If a player touches an opponent’s piece, they must capture that piece. A player who wishes to touch a piece only to adjust it on the board must first announce the intention, usually by saying “adjust”. Clocks and Timers – Most tournaments use timers to regulate the time spent on each game, not on each move. Each player gets the same amount of time to use for their entire game and can decide how to spend that time. Once a player makes a move they then touch a button or hit a lever to start the opponent’s clock. If a player runs out of time and the opponent calls the time, then the player who ran out of time loses the game (unless the opponent does not have enough pieces to checkmate, in which case it is a draw).